I was recently invited to speak at a Human Resource Seminar by the Jefferson Chamber of Commerce. The presenters discussed various aspects of human resources, including hiring, company policies, and other aspects of HR. I shared my experience building a culture at Omega that values and retains our employees. I appreciated the invitation from the Jefferson Chamber, and I enjoyed meeting everyone who attended. I want to take this opportunity to share some of the takeaways from my presentation: "Holding on to Talent Once You're Lucky Enough to Find it." Looking in the right place. Our top source of hires is through referrals. If a trusted employee recommends someone they trust, it typically works out well. I have also found top employees in those working in the hospitality industry, college students seeking part-time work, and churches. Valuing attitude over skillset. I would rather someone with zero experience but the best attitude over someone who can do the job but has a lousy attitude. I can teach you how to do the job, but I can’t teach you how to bring a good attitude. Community. Employees connect with each other. Vulnerability. Employees connect with the company. Purpose. Employees connect with their work. I will go into more detail about each of these, but at Omega, the combination of making someone feel part of your team, being open with them, and giving them a reason to come to work allows us to hold on to our best people. Most of us spend more time with our coworkers than with our families. If I want my employees to keep working for me, I need to make them feel part of a community. To do this, I encourage quality interactions among my staff. And this starts with me. During the orientation that I offer all new employees, I look each employee in the eye, shake their hand, and welcome them to Omega by name. I encourage employees to come to their supervisor or to me with any issues, and I encourage open communication. I’ve seen employees quickly step in to cover a coworker’s shift when there was a family emergency; that’s when I knew these positive interactions were paying off. 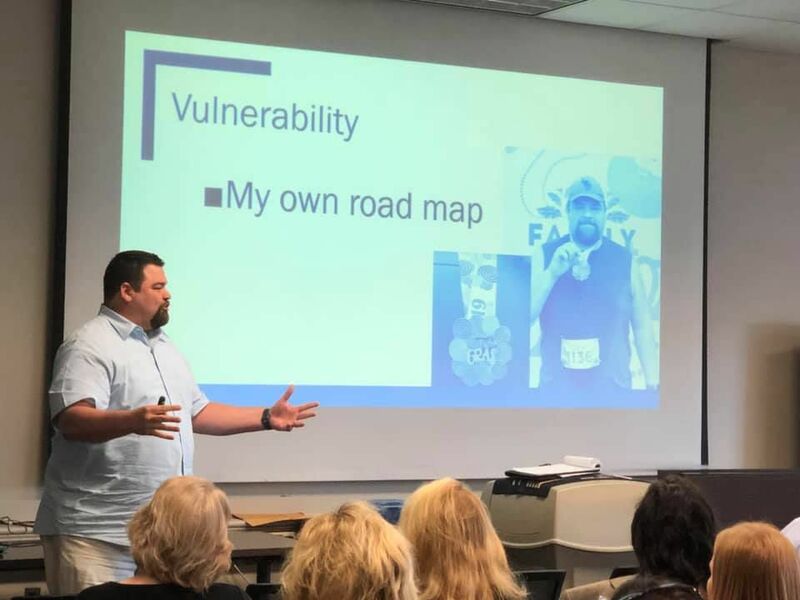 While it may not seem like the most intuitive way to retain employees, being vulnerable with my employees makes them feel connected to Omega and to me. To me, professional vulnerability takes form in sharing the company vision with my employees. I am open with them about Omega’s growth plans, and even about some setbacks we face. On a personal level, I have been open with my staff about my struggle with weight and fitness. Earlier this year, I ran a 5k race with some of my staff, and they were supportive of me. Omega isn’t “just a job,” and I’m not “just their boss,” rather by showing vulnerability, I have made my staff feel more connected to and invested in their employer. Anyone who has known me for more than five minutes knows that I am a Simon Sinek fan. I have fully bought into the idea of “starting with why.” If you don’t know what I’m talking about, I encourage you to watch this video. When an employee understands why they are parking cars or why they are running errands, they understand their purpose at Omega. When they understand that by being there and doing their job with a smile, they can change someone’s day for the better, they understand their purpose at Omega. And if they understand their purpose at Omega, they are more likely to stick around. Again, I thank the Jefferson Chamber for the opportunity to share my experience, and I hope I have shown you how community, vulnerability, and purpose help Omega retain our best employees.